Your amazing. Have a nice day Greig!!! Well he binned it also and has race there before, must be a rookie mistake according to your point of view on Leclerc. Leclerc will win races in 2019, something Kimi would not do. .......there is no excuses if Seb loses the title as he will know himself we gave him the car to win with. But again with the negativity how about Seb wins the title despite making some mistakes. Yes, I agree, I hope he can do it, but to be honest, at the moment, I am bit nervous. But 1-2 from Singapore, and sun is shining again. Leclerc’s first time racing at Singapore, the toughest track of the year, and he finishes in the points 20+ seconds ahead of his teammate. Anyone who’s doubting him needs to check out how he outclassed Gasly. Gasly started behind him, tyres were gone and Leclerc had a new tyres. Ocon, Perez and Grosjean had a something else in mind today than racing. He did overtook one driver, Hulkenberg, did not see how did that happen. Anyways, I am not against him, I just don`t understand why Ferrari choose him, when his only merits so far is winning GP2. But they and you must see something that I cannot see. I doubt Ferrari fans are doubting Leclerc as a race winner. I for one want to see if Ferrari lets him win. He sure looks like he can given a top car. We Ferrari fans all know "Let Seb pass" will be a nightmare for this 20 yr. old trying to make it in F1 as a WDC champion. And as of now I believe Seb is on the case . Just look at Max 20 yrs. old also but, he has a green light @ RBull. Kimi, Bottas, Seb, Dan , on and on all behind Max at the flag. Not only does Max get 2nd. place so does the R Bull team! I'm sure no fan here want's 2019 to be Merc, R Bull, then Ferrari . Let the drivers race!! 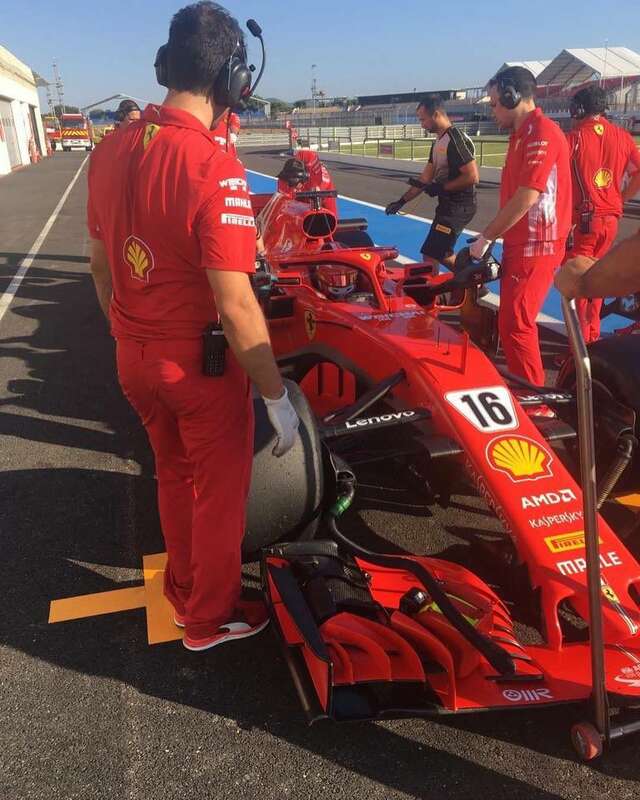 Let's hope Ferrari let's LeClerc race against his team-mate. Personally, Vettel needs a wake-up call. 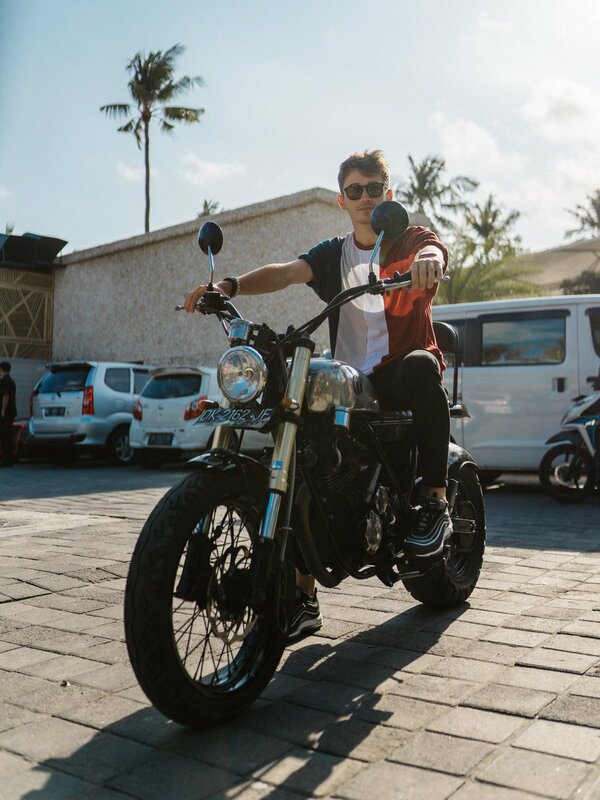 LeClerc will find out soon enough that driving for Ferrari is not the same as......driving for Ferrari since he will get a taste of how Ferrari works. Vettel looked.....concerning after this Singapore 2018 race. You also sensed it in his voice. My point was that Gasly was all over the track and that Leclerc still had to navigate his way around him without getting taken out. Singapore isn't exactly the easiest track to overtake on. For me Leclerc has great potential. Thats why Ferrari took him under his roof. Did Massa had potential? Maybe but compared to Leclerc personally he is a lot better driver. Taking two competition as a rookie is big success and GP2 was good warmup so as Sauber for him. Riciardo is finished story and bc of age he wasnt an option anymore. Fernando isnt too, so in who else you can see the spark? Who is the best candidate except Leclerc? His biggest motivation is his father who died and that motivation and passion is something else. Also, my personal opinion why Ferrari choosed Leclerc is VETTEL. I'v think Leclerc will fast as and not so arrogant as Verstapen. But let me go back to Vettel reason. Vettel will give his knowledge and experience to this kid, turn all of his knowledge to Leclerc who is gonna be the future and teach new Ferrari drivers how to be Ferrarista. Whatever motivates Max and how he reacts , I can only wish it on Seb in a hurry. There's still time! 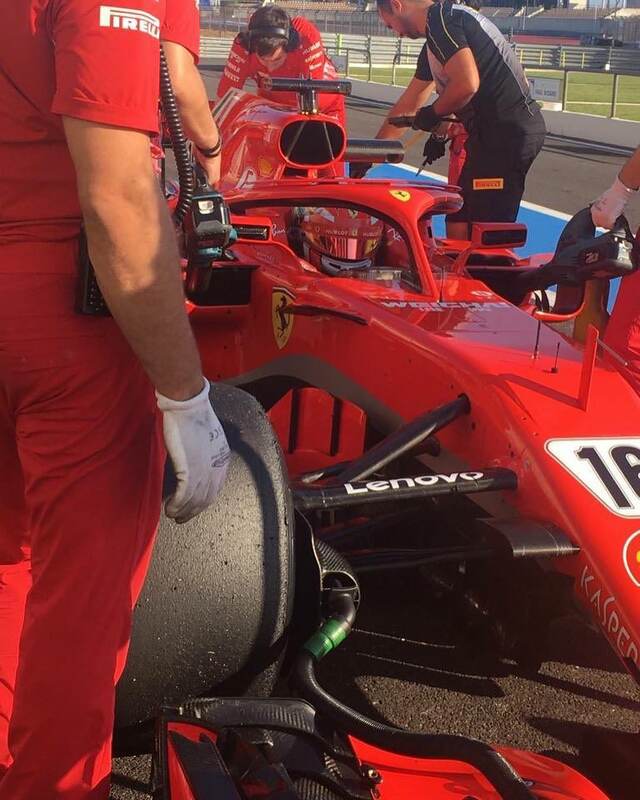 Anyone got any photos of Charles testing the 2019 Pirelli tires with our SF71H? Would like to got the pics! I needed this to wash the awful taste of Singapore out of my mouth. "He did a little bit of a pause but to me it seemed like an eternity." Charles Leclerc has said he will not start demanding things “like a king” when he joins Ferrari in 2019. 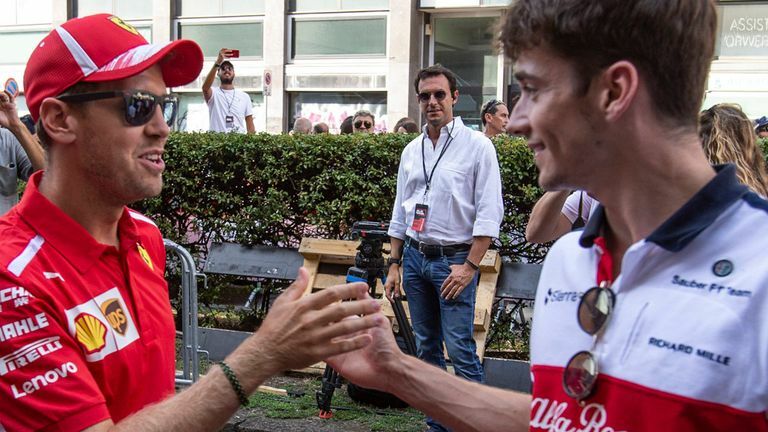 Ferrari have gone all-in with Leclerc, who will replace Kimi Raikkonen at the Scuderia, where he has a contract until at least the end of 2022. Leclerc, though, is not going to let the huge career move get to his head and become an egotistical driver. “For now, I will just come in and take it easy,” Leclerc said. “It’s still a long way away and I’m fully focused on this season, and then next season we will see. “But for sure I will not arrive and there and act like I am the king and say ‘I want this, this, this and this’. “I will just get there and see how things are. Leclerc says it was not long before things started to become normal again after being announced as Sebastian Vettel’s new team-mate. And now he just wants to keep on learning and improving before he makes the big jump up to Ferrari. He added: “Apart from the Thursday being quite a bit different because the media session was a bit more full, after that everything came back to normal. “The main importance for me is to focus on this year and really not be distracted with what will happen next year. “Obviously it will be a dream come true but I need to stay fully focused on this year. “I just want to do the best job here for now. It’s quite natural for me not to think too much about next year. 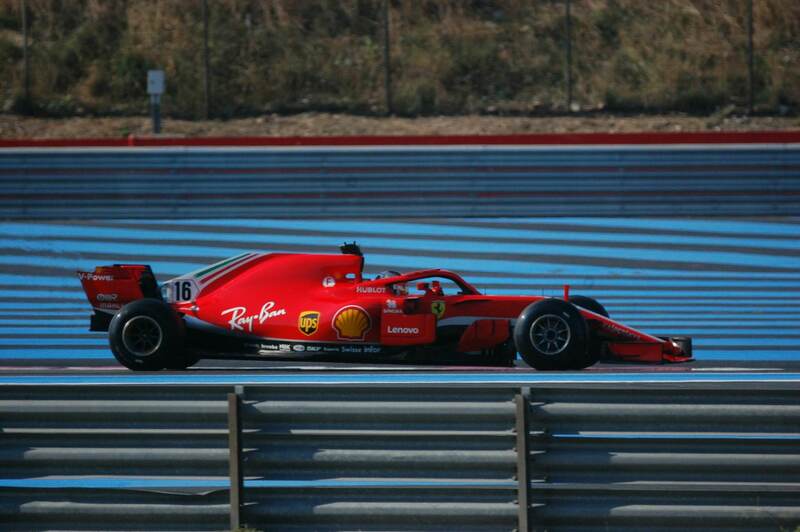 Leclerc got behind the wheel of the Ferrari during a Pirelli test on Thursday at the Paul Ricard circuit in France. He completed 129 laps in the SF71-H, the equivalent of two grand prix distances, on slick tyres, and gained some valuable experience ahead of his impending move. I want to see Leclerc either on pole , win, or podium, 1st 3 races! Then let's see who gets to sit in the throne. He's doing too good to be moving over from race 1. Letting both drivers race will be the true way to know who should be the #1 #2 driver. Oh! Besides the right tire choice's by the team. Good luck to Charles. Hope Ferrari throws all support behind him. Nice to see a young talent in the Ferrari says they are thinking more progressively. Seb is damaged goods he has been comprehensively whipped by Hammy this season...and he knows it. Baku, France, Germany, Italy, and to some degree Austria with his penalty for impeding also...all critical errors that Hamilton simply does not make and Seb will have at least one more before season ends. There is your championship. Wonder if Leclerc will have to do sim for us next year? The best line-up is Verstappen and Leclerc. Vettel has the best years behind. And despite his experience, he makes such blatant mistakes. Increasingly Charles Leclerc is clearly the real deal, again he delivered a mighty performance with some excellent overtakes to finish the Russian Grand Prix as the Best of the Rest in seventh place behind the six cars of the three big teams. After a slow start on Friday, Leclerc built up momentum and found the sweet spot by the time qualifying and race day came about. A highlight of Leclerc’s race was his ballsy overtake on Magnussen on the outside of the Haas through the never-ending Turn 3. 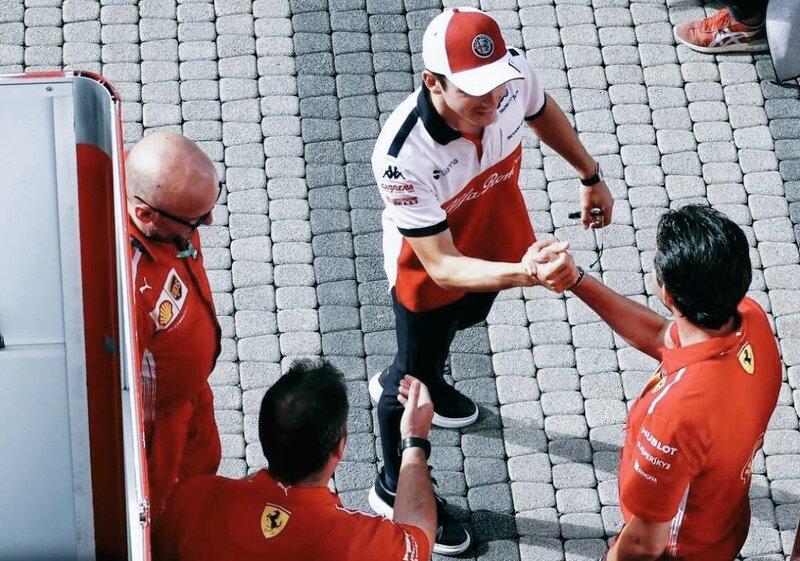 With seven points finishes so far this year, Leclerc lies 15th in the championship, but for many fans Leclerc teaming up with Sebastian Vettel at Ferrari next year cannot come soon enough.